Lil Bro: But I can’t sleep. I’m sure many of you are nodding in sympathy at this experience. Lil Bro who usually has no difficulty getting to sleep is having a spate of “I can’t get to sleep”. We have tried cuddling, cajoling, comforting, reassuring and now we are at the frankly fed up stage. Children with poor sleep can have difficulties with poor concentration, over-activity, behavioural problems, day-time sleepiness, bed-wetting, obesity, increased clumsiness, depression and worse academic performance. Equally bad, the lives of their parents and entire family are also grossly affected. As parents of infants, we have all been there, but somehow I’ve taken immense umbrage at this recent spell of poor sleep because Lil Bro is now 7 years old and well able to put himself to sleep. When Big Sis was a wee mite, I was the rabid sleep-deprived mother heckling the sleep experts flown in from abroad to teach us doctors about sleep EEG’s: “Can you tell me why, WHY, how, HOW can a baby go from stage 4 deep sleep to AWAKE and CRYING just by a 10 degree tilt to lay them in the cot????!!!! Give me the EEG on how that happens…!!!! What’s the possible mechanism???!! !”….zzzzzzzz – bonk. So, I must now be the envy of most mums, as for the last few years I have had the pleasure of working with Paul Gringras a.k.a. the Professor in charge of the national Sleep Medicine centre at The Evelina Children’s Hospital. I have been working with him on an international multi-centre drug trial for sleep medication in children with neurodisability (mainly autism), which he is leading. His centre is hi-tech with observational sleep bays where children can sleep-over and be observed on video to capture what is going on, often plugged into electronic equipment that monitors breathing, brain and movement activity and I was fortunate enough to be able to sit in on consultations with Consultant Paediatrician Dr Mike Farquhar. It all sounds very medical. What then has a shrink got to do with sleep? Well, it turns out that the majority of sleep problems in children are “behavioural”. Yes, there are known medical causes of disturbed sleep, e.g. restless leg syndrome, obstructive sleep apnoea, sleep walking and so on, but for the majority of cases in children who are otherwise fit and well, it is what children and their parents are in the “habit” of doing that is keeping them all awake. What constitutes a sleep problem? The definition of a “good night’s sleep” is variable from person to person. As a student, a full 10 hours was a requisite for me often causing tardiness to morning lectures. At weekends waking before 10am was unheard of. As a junior doctor, 4 hours sleep constituted immense good fortune and developed in me the very useful skill of being able to sleep anywhere, anytime – zzzzzz-bonk. These skills came in handy with babies that hadn’t read Gina Ford. The early years of parenthood are a sleep-deprived blur, but once the youngest had reached the milestone of 3 years, a more acceptable routine of 10 hours of continuously sleeping children was established –albeit the 6am wakenings were still somewhat painful. In reality sleep requirements differ between children of different ages, but also between different children. Average daily sleep duration ranges between 10-17 hours at 6 months to 8-11 hours at age 11 years. This variability colours people’s ideas of what constitutes a sleep problem, and I am often bemused by some parents who come in desperation seeking medication for 10 year old children that sleep from 7:30pm to 6am: thinking with a mix of incredulity “What planet are you on? That’s almost a full 11 hours!” and admiration “Please tell me how on earth you get a 10 year old to go to bed at 7:30pm!” With these children who are getting hours of sleep within the acceptable range, the sleep is only classified as problematic if it represents a dramatic change to sleep pattern and/ or if there is any evidence of daytime sleepiness. If the answer to both is “No”, then one should feel reassured. However, for a psychiatrist, we know that often a parental cry for help of “My children don’t sleep!” is actually a cry of “I’m struggling to cope with my children when they are awake!” This differentiation is critical as the treatment strategies for the two problems are entirely different. Aside from these perceptual sleep problems, the three main problems involving sleep are: struggling to fall off to sleep, waking in the middle of the night and co-sleeping. Problems falling off to sleep are often cited as a struggle. Sleep latency (to give it its fancy name) averages 19 minutes in 0-2 year olds and 17 minutes for 3-12 year olds. Anything over 30 minutes is classed as problematic. However, these average latency numbers involves the child actually wanting to fall asleep and lying in their bed in the dark, and any of the children’s wonderfully inventive delaying tactics “One more story”, “I need the toilet”, “I need a drink”, “Mummy sing to me” are clearly “behavioural” and not really to do with a “medical” sleep problem. As part of our natural sleep cycle, we all wake at some stage in the night. Most of us are able to close our eyes and will quickly fall back to sleep again such that we don’t realise that we were ever awake or close to waking. Where night waking is problematic is where children are unable to settle themselves back to sleep and start playing the drums and waking the entire neighbourhood in the middle of the night. Typically these children then decide to fall asleep at around 7am, just when they need to go to school, and then they either miss school as their parents are unable to drag them there, or they doze off in the classroom and can’t learn effectively. You can imagine the impact of this on their parents. OK I am as seduced by the lovely mental images of canoodling up with my young children for a snooze as the next parent. Many parents are seduced into this as children love it and it often helps them to fall asleep more quickly, but each time you get the inkling that this might not be such a bad idea, I would like you to imagine you sleeping with your 15 year old son or daughter. If you don’t do something to nip it in the bud while your children are young, they might not “grow out of it” and it will be a battle to get them out of your bed and are not used to falling asleep alone. I would suggest that you turf them out of sleeping in your bed by age 7 years otherwise it may get horribly entrenched. Of course, the early morning “I’m awake” cuddles in bed are still fine! So what can we do to help our children to sleep? Physical exertion in the afternoon – encourage daily exercise in children in the day-time. This will wear them out and make them physically ready to sleep. Consistent daily bedtime – as with all things behavioural, if there is an established routine and children know what is going to happen and that they cannot get out of it, then compliance is more forthcoming. Last drink 1-1.5 hours before bed – this reduces the likelihood of children needing to get up to go to the toilet in the night, which may make it harder for them to fall back to sleep. Avoid sugar/ caffeine – fairly obvious really. Try and have a routine wind-down regime in the hour before bed time (calming activities such as reading, bath, calming music). The idea is to try and calm your child down so that they are in the right physical and mental frame of mind to sleep. NO SCREENS (TV, phones, tablets) for at least an hour before bed. TV programmes, phones and tablets are all designed to capture interest, attention and brain activity. Ideally, you want to be winding down your child’s brain activity in the hour before bed so turning off screens is desirable. I know that many parents are tempted by having a TV in a child’s bedroom to keep them quiet and contained in the day, but it then requires discipline for children to stop watching it late into the night. Only be happy to provide a child with a TV in their room if they possess such discipline or you are happy for them not to sleep. Having a transitional object (eg. a soft toy) to develop sleep confidence and a healthy sleep association. 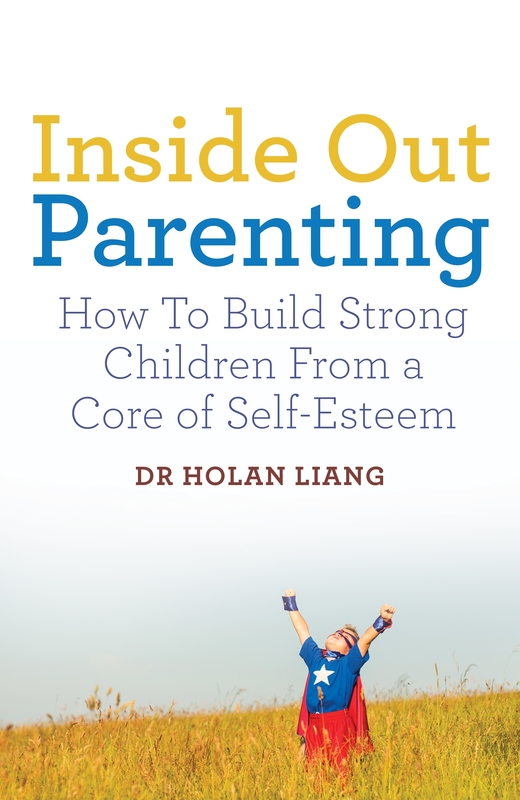 This can be particularly helpful for younger children. Working towards your child falling asleep by themselves in their own bed. If a child is used to sleeping with you, then you should gradually withdraw yourself. For instance, first get the child accustomed to sleeping with you sitting next to them, then in a chair in the room, then outside the room in sight, then outside the room out of sight. It takes time, patience and grit to do this as some children will really dig their heels in, but if you view this as ultimately for their own good (which it is) then it is more possible to undertake. Limit setting on ‘fussing’ after ‘lights out’. If you draw out the bedtime process with attending to the child’s fussing, then it defeats the purpose as it will get later and later and only teaches children that you will give them attention for their fussing which encourages them to continue to do it. Reducing attention given after ‘lights out’ to prevent reinforcing messages of attention (e.g. avoid eye contact and conversation): good old pursed lips and silent treatment. There is a rule in my house that after the official bedtime, “Nice mummy” goes to bed and “Horrible mummy” her doppelganger comes in her stead. Nice mummy cannot be accountable for the actions of horrible mummy and so it is much better for children to just go to sleep. But I had done all this and still, Lil Bro could not get to sleep. This was even more annoying and I was starting to put it down to “naughtiness”. The next day, I was lucky enough to be chairing a talk on Smith Magenis Syndrome (a genetic disorder which was frequently associated inverted sleep cycle – i.e. day time sleepiness and night time waking) and my colleague Paul Gringras was the invited expert. Half-way through his talk, he spoke about the solution to keeping these children awake in the day was by using blue light to cut off melatonin secretion in the day. Melatonin is the natural hormone our pineal glands secrete to tell us it is night time and aids sleep. It’s pharmaceutical form can be bought over the counter in the USA as a treatment for jet-lag and is a commonly prescribed sleeping tablet. Hang on a minute, Lil Bro had recently been given a fantastic blue Star Wars light sabre light that he had been insisting on turning on as a night light when he went to bed….this type of blue light is used to KEEP CHILDREN AWAKE….aargh. We had been inadvertently switching off our son’s natural melatonin secretion via Luke Skywalker’s weaponry. I double checked Jess Turnbull’s list of advice and saw that I had overlooked: “Use a red coloured light if night light is needed (does not interfere with natural melatonin production)”. That evening, I told Lil Bro that an important sleep expert had told me that his special blue light was keeping him awake. Lil Bro likes science and reason and he felt good that there was a reason for his insomnia and that it was not just “bad behaviour”. It’s silly mummy’s fault for letting you have that light on (he likes not being to blame). Releasing him of anxiety about insomnia and allowing the release of melatonin by switching off the offending blue light sabre led to zzzzzz-bonk! The info from this post came from: Turnbull & Farquhar 2016. Fifteen-minute consultation on problems in the healthy child: sleep. Arch Dis Child Educ Pract Ed 101: 175-180. A few months ago I attended a fascinating talk on the impact of post-natal depression in mothers on their children. As you can probably already guess, the impact is not just for the duration of the mother’s depression, but due to the massive development of the baby’s brain in the first year of life in response to its environment, problems in its “environment” (which is largely provided by the baby’s primary carer) can be life-long. For mothers to get depression (or worse still, psychosis) at this time is crippling as not only does it affect them for the duration of their illness, but can impact the child LIFE-LONG. I don’t think any other mental illness can have such a profound effect. The talk went into much detail about the observed negative outcomes in children and the mechanisms that led to these outcomes. In brief, lack of love, warmth, responsive parenting, talking and interacting with babies in “motherese” lead to abnormal or insufficient normal brain connections in the baby (motherese is the repetitive and sing-song baby-like voice that mothers adopt when talking to babies that is infinitely nauseating to non-parents – isn’t it darling? Yeees-it is! Yeees –it is!). Many clinical trials have been undertaken to treat post-natal depression to prevent these negative outcomes in children, such as cognitive behavioural therapy (CBT) and anti-depressant medication, but all with marginal effects. Really interesting stuff that I am sure I will blog about in more detail another time. A PhD student had done some interesting work around the ability of depressed mothers to differentiate between a distressed cry and a non-distressed cry from various recordings of a baby crying. Depressed mothers can typically not differentiate the cries and find all cries aversive. Interestingly though, depressed mothers that had been musically-trained (played grade 4 or above piano) continued to be able to distinguish a distress cry from a non-distressed cry from her baby presumably because of their superior ear in differentiating musicality in sounds. This led to the suggestion that training in music may be protective in some way for the negative impact of maternal depression as these mothers preserved the ability to identify distress in their babies. Someone suggested teaching mothers the piano in pregnancy. When questions went to the floor, other people suggested a blast of oxytocin nasal spray. Oxytocin is the “mothering” hormone released in pregnancy and during breast feeding and given to apes has been found to increase “maternal behaviour”. It struck me as obvious that if the best anti-depressants were contra-indicated in breast feeding, and available anti-depressants were not achieving good enough effects and CBT was taking too long to treat mothers, that one should look not to new and under-developed drugs like oxytocin or expensive and frankly bizarre suggestions of NHS funded piano lessons for mothers to “cure” the mother; but to additional support that could take over the “warmth, love, responsive parenting, engagement and social interaction” with the baby. The clue was in the term “parenting”. Dads are parents too. What amazed me was the response. I wondered if I had time travelled to the 1960s. Can it be that in the 21st century, my esteemed, brilliant, talented, caring profession is still stuck in a time-warp? 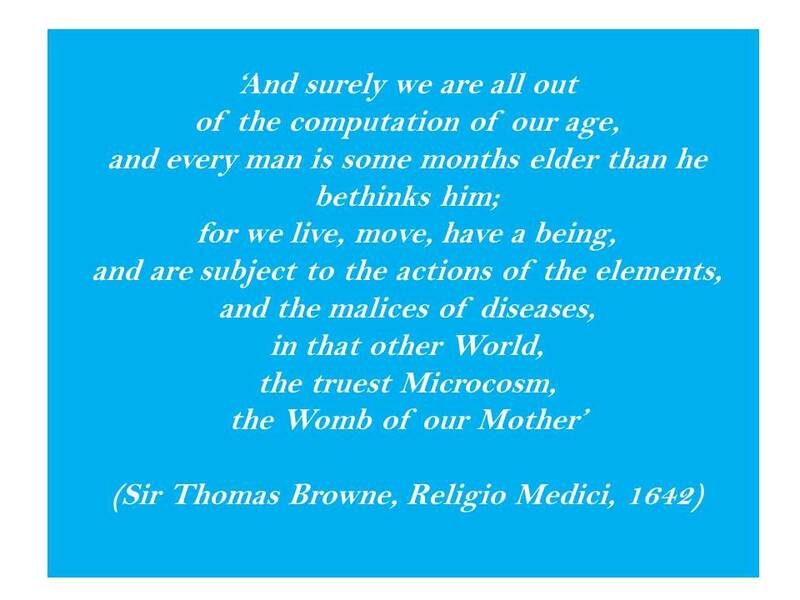 Decades after my predecessors saddled mothers with terms such as “Refrigerator mother”, “Schizophrenogenic mother”, “Good-enough mother”, “Tell me about your mother” and volumes on the paramount importance of maternal bonding and maternal attachment – can it be that we have not moved on from the primeval importance of mothers to babies? I am not disputing Bowlby here; I agree that attachment is vital. My dispute is with the gender requirement. Why can’t fathers bond and attach to their children – particularly if the mother is down or out? Parental bonding and responsive parenting to babies is vital. Biology provides some mothers with an advantage over fathers for bonding through pregnancy, birth and breast-feeding hormones. This hormonally driven advantage is lost once mothers stop breast feeding. In the UK, less than 1% of mothers last to 6 months of breast feeding. The hormones do not make mothers “better” at bonding, but makes them “desire” to bond and care for their young – kick starting the supposed “maternal instinct”. If there is a strong “desire” to parent, maternity hormones are completely unnecessary, which is why mothers who adopt babies are still perfectly wonderful mothers without having exposure to any maternity hormones. Believe me when I say that it was not oxytocin that told me that if my baby is crying I should pick her up, and if my baby is crying and her nappy stinks that I should change the nappy. That’s just common sense and I don’t need hormones for that. Some mothers lack this advantage over fathers (having low levels of hormones or being unresponsive to hormones) and have no “maternal instinct” and are uninterested in babies (in the same way that many men lack the “aggressive instinct” that they are supposedly stereotyped to possess). Many men possess a “nurturing instinct”, in the same way that many women possess an “aggressive instinct”. Some mothers get post-natal depression and are completely incapable or are severely handicapped in bonding and responsive parenting. The conclusion should therefore be that fathers who have a strong desire to bond and care for their babies are no worse parents than mothers. Once mothers have stopped breast-feeding, they and their husbands are equally placed biologically to provide the love, care and nurture that is required to support a baby’s development. If a mother has post-natal depression or is uninterested or incapable of parenting for whatever reason, than the father is better placed to provide the love, care and support (provided he is not also disinterested or depressed), and particularly if he is warm and loving. And yet, no one is shouting this from the rooftops, because there is no evidence to support this. Just piles and piles of research on the bad outcomes for babies raised by mothers with problems. Because in the past, it was the mother’s role to nurture babies and look after children. The body of evidence regarding mothers has built up over time. People writing research proposals and funding bodies granting money for research want to see an evidence base for the work that researchers they fund are building on. There is very little that has been done on fathers as the main carers for babies because up until the last few decades, this just happened so rarely. Even today, the vast majority of funded research in the parenting area relates to looking at mothers and their children. There is no evidence that fathers can care for babies, but equally, there is no evidence that they can’t. There remain large personal and societal incentives for many people and organisations NOT to produce research and data that may support equality in parenting capability. Yet, anecdotally, the gay dads that I have met (both personally and professionally) have largely been fantastically capable of love, warmth and responsive parenting and I am just sad for the many children whose lives are inordinately altered by mothers with post-natal depression where fathers have not stepped in. The next stage in gender equality is surely to evaluate if the skewed evidence that we have been fed by parenting researchers who lived through a different society is scientifically relevant going forward, and to generate new evidence on parenting; where parenting is not just a proxy for “mothering”. My profession should be at the fore front of this, advocating for this research to take place and stamping out the gender bias in parenting. For if going forwards we are moving towards equality within the workplace (which we are), are we as child psychiatrists going to hinder this progression by continuing the rhetoric of hanging the responsibility of childcare on to aspirant mothers, or are we going to apathetically hang back and allow governments to enact it’s solution: to hand childcare over to the state? I believe we should speak with one loud voice for parental responsibility for parenting. Both parents in concert where possible and gender being irrelevant. I am reminded of Harlow’s controversial primate experiments. The baby monkey chose to lay with the wire frame dummy covered in faux fur that gave it warmth and comfort, rather than the wire frame monkey that gave it milk. It is love that matters not mammary glands, and I am confident in my assertion that mothers and fathers are equally capable of that. This week I have been working on a resources page for the site as there are some great, free resources out there that I think are unknown to parents and under-utilised. The resources page will permanently feature on this site now, so please let other people know about it. I hope to continue to populate this resource page with new and wonderful things so do check back occasionally to the resource page. 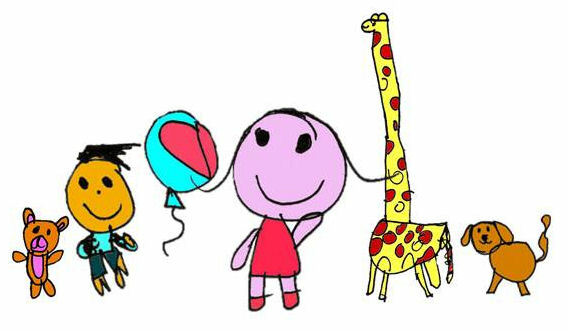 Also from Youth in Mind, you can navigate in your own language to an on-line questionnaire, the Strengths and Difficulties Questionnaire (SDQ) which you can complete on-line for your child. The SDQ is one of the most frequently used screens for mental health problems worldwide and will help highlight your child’s strengths and difficulties in key domains. The web-site will give you specific instructions and will also give you a feedback report about your child’s strengths and difficulties. A teacher version is also available, and the combination of both parent and teacher reports will give a more accurate summary. For teenagers there is also a child self-report version. Of course, no on-line questionnaire can replace a medical assessment if you are worried about your child, but it can prompt you to think about your child broadly and to consider if there are any concerns that warrant further exploration. Still the go-to site for autism information for parents. There are regional branches of the NAS and they will give you information about resources, services and support groups locally. What would I do without the brilliant Book People? The majority of presents that we give to other children for their birthdays come from here (Sssshh – they are so cheap – don’t tell). Books make great presents, and the Book People even do cheap but beautiful birthday cards. I hate cheap plastic tat, and so we always give a book as the party-bag present at parties too. At a pound-or-so a book (including greats such as Roald Dahl and Diary of a Wimpy Kid), it beats plastic tat and a glow-stick any day. The full Roald Dahl collection (15 books, potentially a year’s worth of reading) can be purchased for the price of two cinema tickets, and the full set of David Walliams audio-books kept the kids quiet on many a long drive. Great adult and cookery books too! In part 1, I talked about genes. Now I will share my thoughts on the other major player: environment. Most people think of environment as the family you are born into and the community and school your child belongs to. Actually, that’s all window dressing compared to the environment that you are providing in your belly! Whilst you are chomping into bacon sarnies, struggling to pull up maternity jeans that won’t stay up and mapping out where all the pregnant-lady friendly toilets are on your route to and from work (thanks Premier Inn Belsize Park! ), unbeknownst to you, you are already determining your child’s future. The bad thing about medical training is that you are all too aware of what can go wrong. Pregnancy is generally viewed as a “magical” time; the miracle of new life being generated from within your body. Paediatric cardiologists however, will start wondering whether a congenital heart malformation is present in the foetal heart beat they are hearing, an orthopaedic surgeon might worry about detecting clubbed foot in the fuzzy ultrasound scan. From the view of the child psychiatrist, forget extra digits and cleft palates, it’s all about the brain and the mind. The good thing about having medical training is that you can spot the bullsh*t that is out there in terms of pregnancy health advice. A pregnant woman is like a goldmine. While women may feel guilty about spending money on themselves, parting with money for the benefit of their unborn baby is totally justifiable and guilt-free. It’s no wonder that the health food industry piles in on this market. In a recent study in New Zealand (Jeffries, 2012) a researcher in true Ben Goldacre style went to 21 health food shops and 21 pharmacies and asked for advice on morning sickness and what she ought to take for nutritional supplementation for early pregnancy. The recommendations were noted and any endorsed products were bought and ingredients compared with official health guidelines. Only 23.8% of pharmacies and 4.8% of health food stores made recommendations for Kate Middleton style morning sickness in line with official guidelines and 66.7% of pharmacies and 33.3% of health food stores recommended buying products, often branded to target the pregnant mother market, which were contrary to guidelines. Almost 10% of pharmacies and double this number of health food stores gave advice on nutritional supplementation with the potential for vitamin A overdose! 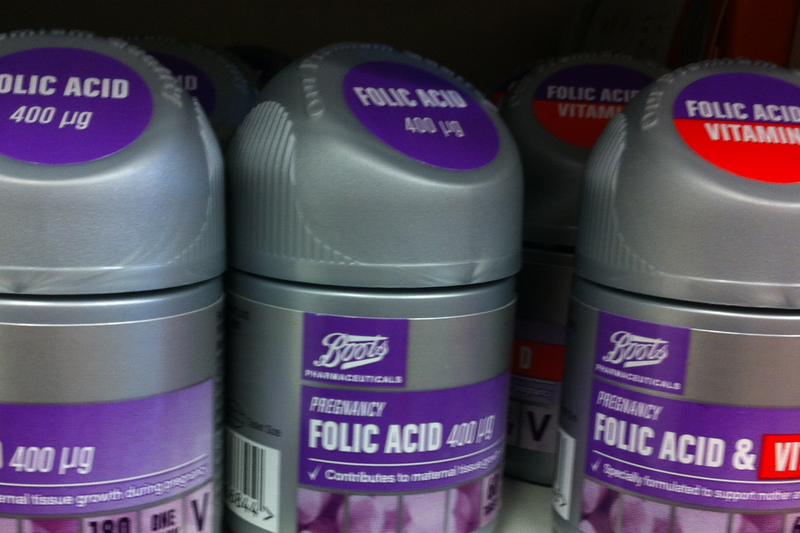 Pharmacies were good at recommending folic acid supplementation, but fewer than 50% of health food stores got this vital message across. 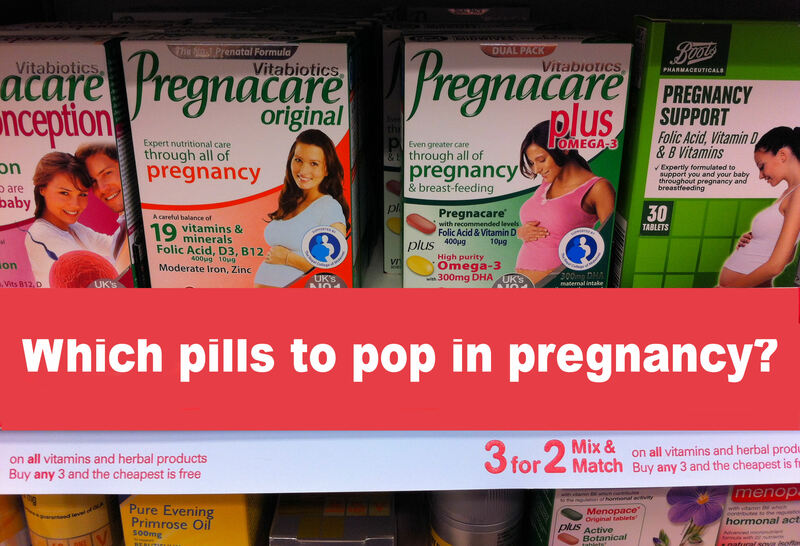 If you haven’t heard of the need for folic acid supplementation (400 micrograms a day) pre-pregnancy then there is a really big problem in the dissemination of this public health message. Like the ills of smoking and the benefits of sunscreen, there is little scientific dispute about the benefits of folic acid supplementation in pregnancy in the prevention of neural tube defect. What the hell is a neural tube? Well, once the egg and sperm unite to form one cell with a complete set of DNA, it starts to reproduce by dividing into two, spawning 2 then 4, then 8, then 16 cells. Pretty soon, you have a big blob of cells called a morula (named after a blackberry as that’s what it looks like). Once you have a big enough blob, cells start to differentiate into the precursors of body organs. At around 3 weeks of pregnancy, the cells which will form the brain initially form a 2 dimensional sheet which then curls around on itself to fuse into a 3 dimensional tube: the neural tube. This tube becomes your nervous system. One end of the tube will become the brain, the remainder, your spinal cord. As everything else “brain” is formed from this initial structure, problems at this stage can’t be glossed over or compensated for. Imagine trying to make a rocket from a flat piece of cardboard. You roll the thing up then tape it along the seam. Now, if you run out of tape, and tape just the top and bottom, you have a gaping hole in the middle. If you tape one end, you have a gap at the other. It doesn’t matter what flashy cone nose you put on the rocket, its decoration or fancy tissue paper flames, the crux of the problem is you have a gaping big hole in your rocket, and that is essentially what a neural tube defect is, a gaping hole in your brain -spinal cord system. It happens in 1 in 1000 live births in the USA (NICHD 2012), but risk is massively reduced by having enough folic acid and vitamin B12 around at the time of neural tube formation. This happens at 3 weeks, often before people even know that they are pregnant, which means that unless you have been organised enough to be taking daily folic acid before conceiving, your child’s brain formation may have been determined before you even knew you could have the most significant impact. In my mind, it’s not just to prevent a massive hole in my child’s brain; I am not very worried about a 1 in 1000 risk as this is pretty low. If my son were competing against 1000 other children for one place at that elite prep school, I wouldn’t really fancy his chances, so why worry about this level of risk? The reason I think folic acid is important is that I want to optimize brain development in my children as best I can. The majority of medical conditions are dimensional meaning that there is a continuum of damage or impairment from minor to major. Take a burn. You have a range of tissue damage from slight redness on the skin to a fourth degree burn where the burn has gone down through all layers of the skin into bone and muscle. When you have a fourth degree burn, it is without a doubt that other tissue will be damaged with lesser graded burns. What does this have to do with the neural tube? Well, the way I see it, a severe disorder like neural tube defect is your fourth degree burn. The risk of neural tube defect is low like for a fourth degree burn, but I don’t just want to prevent a fourth degree burn, I want to prevent any redness at all which in brain terms would mean any even mild problems with attention, irritability, emotional regulation, planning, memory or motor control. The risk of getting things sub-optimal at this stage of development may impact brain development even if it doesn’t result in a full-blown neural tube defect. More recently research has headed this way. Spurred on by the well-known protective effects of folic acid on one brain development disorder, researchers (Suren 2013, Roth 2011) have conducted association studies using large cohorts (samples of over 85,000) of Norwegian mothers and babies and found associations between peri-conceptional folic acid supplementation and reduced levels of severe language delay at age 3 years and autistic spectrum disorder. Association studies can never confer causality or effect, but given that folic acid’s status in prevention of neural tube defects is pretty much established, any potential additional benefits are good extras. Thus, in my view, sod the dilemmas about private/ prep or state school, the biggest impact you can make on your child’s brain function is invest in folic acid pre-pregnancy! It doesn’t matter how much you spend on software down the line, invest in the best hardware you can from the outset: a Commodore 64 cannot keep up with the latest iPad; not just in computation, but in user-friendliness and performance across the board. As soon as parenthood was on the agenda, I switched the contraceptive pill for the folic acid and vitamin B12 supplement, that way, the daily pill popping continued seamlessly and in the event of pregnancy I was covered. I carried on taking folic acid supplements throughout pregnancy, although the critical period is before conception and the first trimester. As soon as my pregnancy was suspected, I started popping multivitamin, iron and fish oil tablets as well. The evidence that these are required if you eat healthily throughout pregnancy is decidedly ropey as most people gain sufficient vitamins and minerals in their diet. What can I say; even I was susceptible to the powers of the nutrition supplement marketing moghuls! My one defence is that pregnancy did skew my dietary preferences towards voracious inhaling of vast quantities of Kentucky Fried Chicken, Walker’s Ready Salted and bacon butties so I probably did need the multivitamins. Suren, Roth, Bresnahan, Haugen, Hornig, Hirtz, Lie, Lipkin, Magnus, Reichborn-Kjennerud, Schjolberg, Davey Smith, Oyen, Susser &Stoltenberg. (2013). Association between maternal use of folic acid supplements and risk of autism spectrum disorders in children. Journal of the American Medical Association. 309, 570-7. Roth, Magnus, Schjolberg, Stoltenberg, Suren, McKeague, Davey Smith, Reichborn-Kjennerud & Susser. (2011) Folic acid supplements in pregnancy and severe language delay in children. Journal of the American Medical Association. 306, 1566-73.